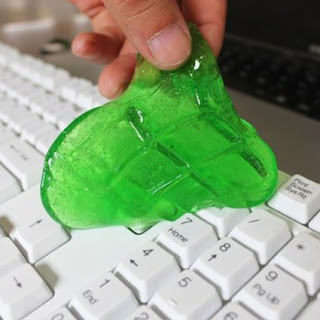 What do you think of this Slimy Gel For Keyboards? Picks up dust and dirt from your computer keyboards, mobile phones and printers. Leaves no residues, keeps your hands clean, proven disinfecting action. Catches dirt and kills over 80% of germs. Environmental friendly, 95% biodegradable. Use over and over, until the cleaning compound turns into dark color.